The Running Coach for all people, all paces. 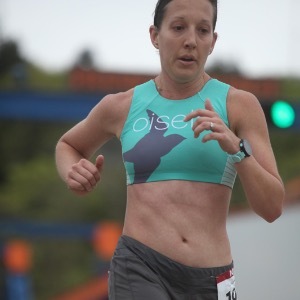 I specialize in working with runners who want to transition out of the “I found a running program online” phase to the “I want to actually become a better runner” phase. Your desire to become a better runner already makes you worthy of a coach, so go out and find one that you click with. Go out and find the best version of you. Chase down that goal, get faster, reach further. As someone who didn’t start running regularly until after college, I wish I had a safe space to ask any and every question I had, but that just didn’t exist...which inspired me to eventually become a running coach. I found for many beginner to intermediate runners, simply having a someone to ask questions of and be accountable to produces great results. My background is rooted in distance running, but the past few years I have developed a deep respect and appreciation for what proper kettlebell training can do for people of all backgrounds – which is why I became a StrongFirst instructor as well. Strength training and Running are like Peanut Butter + Jelly...one is fine by itself, but it's MAGIC when paired. No two clients are the same, and my approach is really about finding where YOU are TODAY. I pledge that you will have my unwavering support every time we chat, because your success is my inspiration, and my goal is to make you the stronger, faster, better version of yourself. Success. Coach Kristiana Almeida has been notified of your message.